What if you could see the future with a single touch? What if that touch revealed someone’s death, and that person was someone you loved? 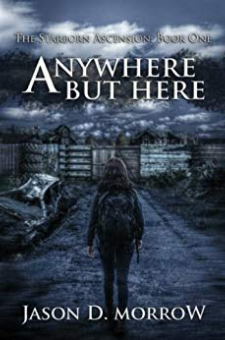 Would you do everything you could to change it?In a post-apocalyptic world, where danger roams in many forms, seventeen-year-old Waverly seeks protection in the town of Crestwood after her boyfriend is ruthlessly killed by lawless raiders. But what she finds is a place wrought with mystery, shady dealings, and more instability than she anticipates.The Starborn Ascension takes place 57 years before The Starborn Uprising. Each series can be read independently.